Vivien of Holloway is based in London, UK and are very well known for their Halter Neck style dresses, Sarong sets and Tartan circle skirts. They are a brand that produces styles from the 1940s-1950s that are full of vintage charm. 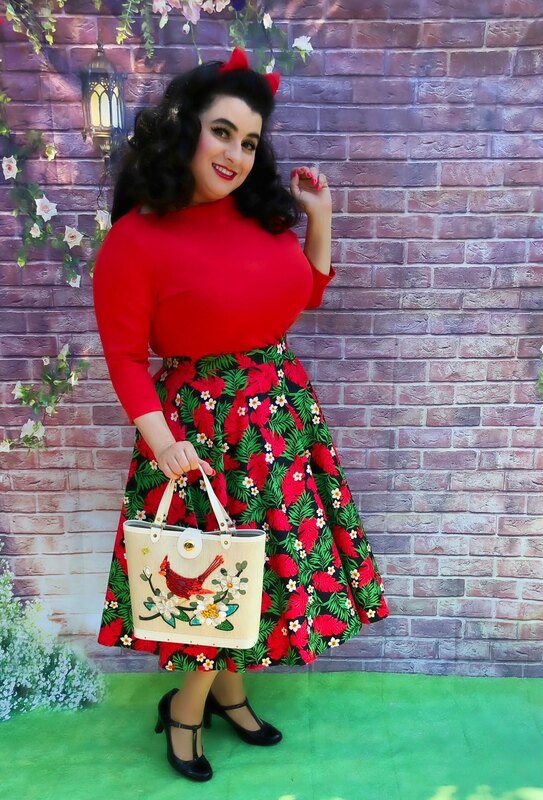 I have admired the brand’s outfits for quite sometime but was a little hesitant to order as I was unsure how their outfits would fit a curvy body and full bust. 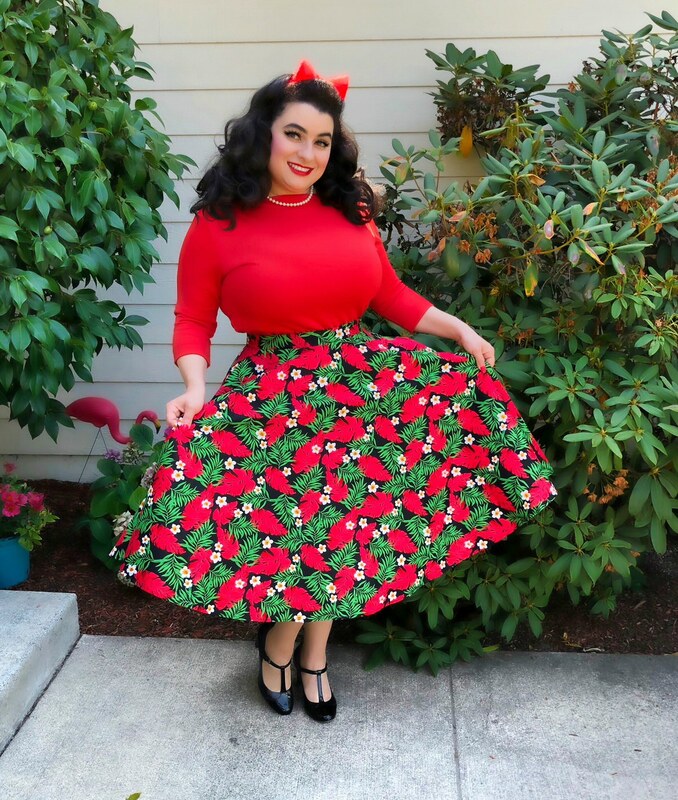 I finally went for it and ordered the Circle Skirt Red Palms and the Slash Neck Top Flame Satin Jersey…spoiler alert…. I am thrilled!! 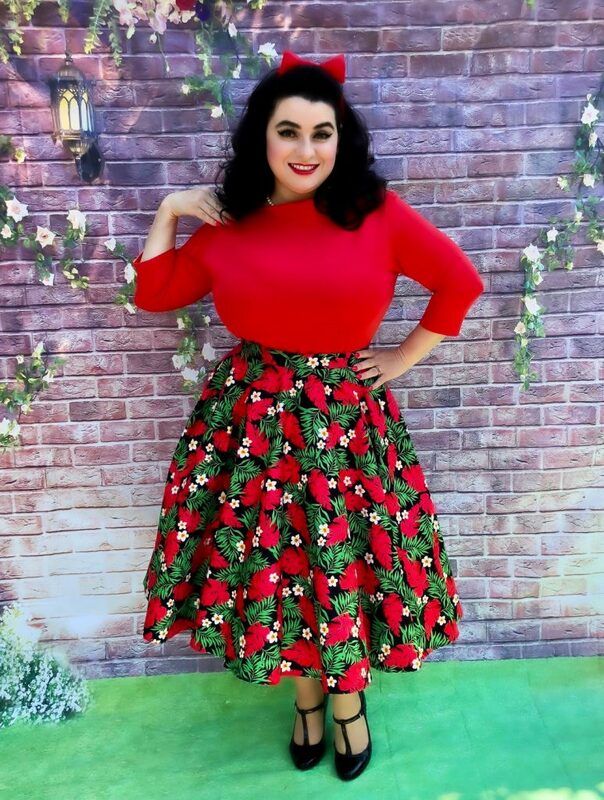 I selected my size based on my measurements and Vivien of Holloway makes it very easy to order as all sizing is listed in measurements via their handy online size guide. 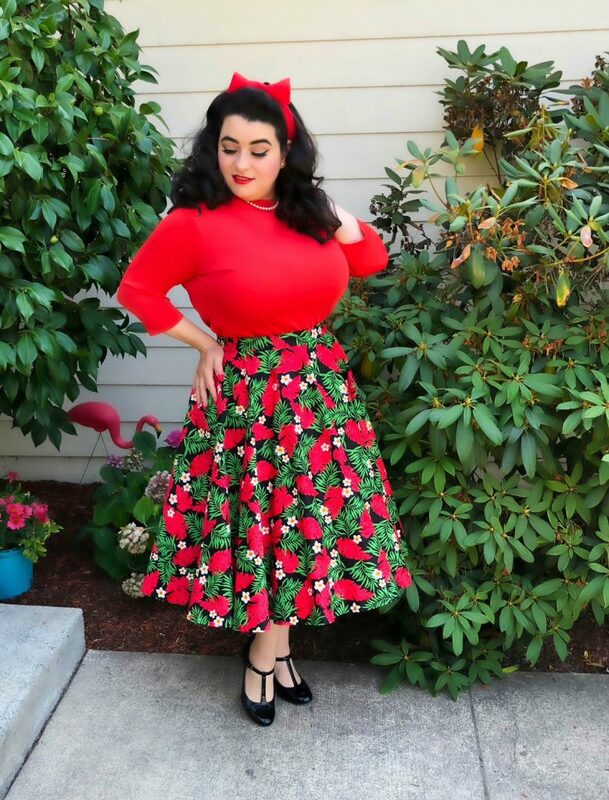 The first thing I noticed about the Circle Skirt Red Palms when it arrived was the quality of the fabric. The skirt felt luxurious and very high quality. It is made of mid-weight crisp cotton sateen and could easily be worn year-round in California. How perfect to have an outfit that can be worn year-round!! I tried on the Slash Neck Top and literally squealed in delight because it fit my full bust perfectly. The colors in the skirt were so bright and vivid and top too was bright and pretty!! 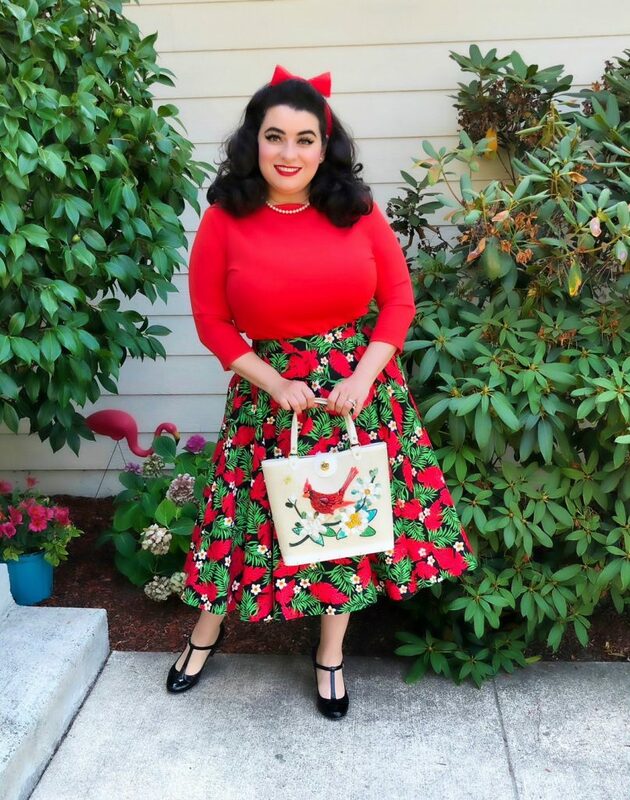 I was excited to shoot this outfit and didn’t want to over accessorize so I added only my pearl necklace and my vintage cardinal Enid Collins purse. I did add a light petticoat under the skirt. The fit of the outfit was perfect; the skirt was comfortable and did not wrinkle!! The top matched perfectly and felt so good on that I was really glad I ordered it. I am so glad I tired the Vivien of Holloway brand that they do have beautiful outfits for curvy girls that enhance an hourglass shape perfectly. I am excited to try the halter style dresses next so stay tuned for that.